Award-winning NBC 5 Meteorologist Andy Avalos's career in radio and television spans more than 30 years. More than 25 of those were spent right here in Chicago. He's been with you though it all, from devastating floods, tornado outbreaks, heat waves, severe droughts, blizzards and ice storms. Few have been on the air forecasting all of these weather extremes longer than him. "I love tracking the weather, few things in life are more fascinating and exciting," Avalos said. He is a member of the American Meteorological Society and holds the AMS Seal and is a member of the National Weather Association. Avalos received a Chicago Emmy for his work on "The Storm Trackers" a special on severe weather in 1997. He started weather forecasting career in Colorado Springs, Colo. at the NBC affiliate in the late 1970s. 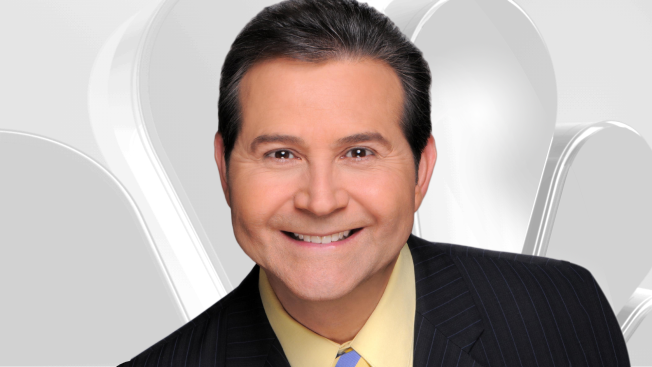 He moved to the CBS affiliate in Denver in the early '80s, then to WLS here in Chicago in 1984 until 1993. He also appeared on FM-100 for 3 three years. He came to NBC in January of 1994 through 1999, before leaving to start his own local business. He returned to NBC in 2003 and has been on the air ever since. The former pilot misses flying, but is in a holding pattern with hopes of returning to the skies in the future. For now he enjoys spending time with his wife and daughter and all of their furry friends. You can see Andy weekday mornings on the NBC5 News Today between 4:30 and 7:00 and catch his updates throughout the Today Show. His forecast's can also be seen on NBC's Digital Channel and can be found on the worldwide web and Facebook. Andy Avalos appears on NBC Chicago weekday mornings from 4:30 to 7 a.m. You can also see him give the latest weather updates throughout the Today Show. Drop me a line: andy.avalos@nbcuni.com.